Richard G. Hunegs has been listed in each edition of the book Best Lawyers in America by Steven Naifeh and Gregory White Smith of the Harvard Law School. No other local (FELA) attorney has received such a distinction. He is a Fellow in the American College of Trial Lawyers, a member in the International Society of Barristers and American Board of Trial Advocates. Additional honors include membership in the Million Dollar Round Table for attorneys who have won client awards of one million dollars. 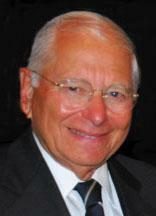 Richard is a member of the National Panel of Arbitrators and The American Arbitration Association. Richard has received the highest possible peer review rating (AV) in the industry standard Martindale-Hubbell Law Directory. An AV rating indicates that a lawyer’s peers rank him at the highest level of professional excellence in both legal ability and ethical standards.